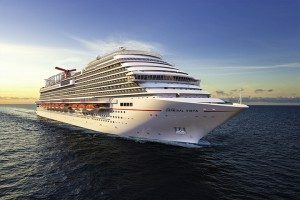 Ports of Call: Cozumel, Ocho Rios, Grand Cayman, Costa Maya, Belize. 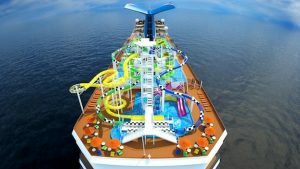 The Vista features an outdoor promenade, indoor/outdoor dining venues, an elaborate water park and “SkyRide” on the top deck, and a Havana pool located at the back of the ship. 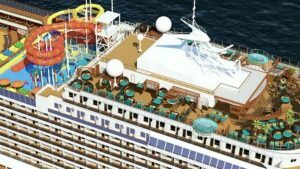 The top deck also features mini-golf, a running track, ropes course, tides pool, and more. Dining options include a New England-inspired Seafood Shack, a pub with beer brewed on-board, a steakhouse, a sushi restaurant, and Guy’s Burgers by chef and television personality Guy Fieri. Entertainment options on the ship include the first-ever IMAX movie theater at sea. Family Harbor staterooms and suites cater to those traveling with kids. Camp Ocean provides supervised activities to keep youngters busy.